All measurements of time have historically depended on astronomical observations - the day is measured from the rotation earth on its axis, the week approximates the changing phases of the Moon, the month is measured from the revolution of the Moon around earth and the year is measured from the revolution of earth around the Sun. Unfortunately earth or moon do not complete their cycle in full no of days. Moon's cycle is 29.53059 days and earth's orbit around sun takes 365.242196 days. So 12 months are short of a year, and 13 months are longer. In this lesson we describe here the history and detailing of the commonly used Gregorian Calendar along with the different lunar calendars used in India. Gregorian Calendar : The Gregorian Calendar was first introduced by Julian Calendar. It was based on 365.25 days. The year was divided in twelve months, of which eleven contained 30 or 31 days and the 12th had 28 days only. The first month was March and the last month was February. July is named after Julius Caesar and August after Augustus Caesar, both months being allocated the full 31 days, as belittled a Caesar. The seventh month was September, the eight October, the ninth November the tenth December, after the Latin Septem, Octo, Novem and Decem for seven, eight, nine & ten respectively. To account for quarter day, every fourth year the last month February was a leap year. February contained 29 days. However this colander was fast by over 11 Minutes every year and by 1500 the error amounted to approximately 11 days. To correct the calendar, Pope Gregory ordered that October 15,1582 should follow October 4. The new Calendar also moved the beginning of the year from March 25 to January 1. February now did not have a leap year in centuries unless perfectly divisible by 400. Thus came the present Gregorian Calendar into existence. According to the present Gregorian Calender average year is 365.2425 days which is more than the actual by .000304 days, that is, 26 seconds. This can be accounted for, if we again have February of 28 days after 3200 years. However, this is not yet accounted in the Gregorian calendar. 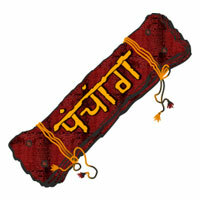 Lunar Calendar : This is the most commonly used calendar in India. This is based on the timing of new Moon. Depending upon Moon's transit over Sun takes place in which sign, the month is named. 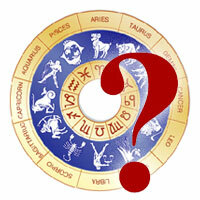 When new moon is in Aries, the month is Vaishakh, in Taurus it is Jyestha etc. (i) Closing at full Moon i.e. Purnimanta(ii) Closing at New Moon i.e. Amanta. In Purnimanta the month starts 15 days before the new Moon & ends on full Moon called Puranmasi meaning "month is complete." In Amanta month starts after new moon. The months are named same as in Indian National Calendar and they start within 15 days before or after, of starting of months in Indian National Calendar. Since the speed of Moon is variable and it can cross over Sun at any degree. New moon may sometimes occur twice in the same Rasi or may not occur at all in some rasi. This gives formation of Adhik & Kshay Mah respectively. In case of Adhik month; the two months are named as first and the other as second. Shukla Paksh of the first and Krishna Paksh of the second are called the adhik month, which is normally avoided in most muhurthas. In case of kshay month, one month is divided into two Pakshas and each month is assigned one Paksh. The first month having Krishna Paksh is called Kshay Mah and the other is termed normal Mah. On the average year as 29.53 x 12 = 354.36 days, which is less by 11 days compared to earth's cycle. Thus in every three years there is an Adhik Mah to cover the gap of these 11 days. Kshay Mah occuse rarely. After or before Kshay Mah Adhik Mah occurs invariably. The start of month or day is taken from Sun rise. Because of variable Moon. speed two tithis may fall between two sunrises and sometimes it may not fall even once. This gives rise to formation of Adhik and Kshay tithis. 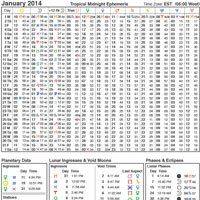 Solar Calendar : Like Lunar Calendar Solar Calendar is based on the movement of Sun. 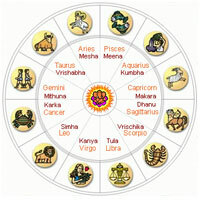 Sun's entry into Aries starts the month Vaisakh and also the new year. The months are named same as in Indian National Calendar. Though the moment of Sun's entry into a sign is the same all over India, yet the commencement of the corresponding month for civil purposes is not necessarily the same all over India, yet the commencement of the corresponding month for civil purposes is not necessarily the same all over India. In Punjab & Orissa the solar month starts on the day of transit into next sign. Here day means one sunrise to next-sunrise. In Bengal and Assam, if transit happens before midnight (45 Ghatis), the solar month begins next day & when the transit occurs after 45 Ghatis, the month begins a day after. In Tamil, when the fraction of the day at which transit occurs does not exceed 30 Ghatis (Sunset), the solar month begins on the same day else next day. Since the sun takes different times to transit a sign the month varies from 28 days to 31 days. Vikram Era : 57 more than the A.D. year and extensively used in Gujarat & all over northern India except Bengal. 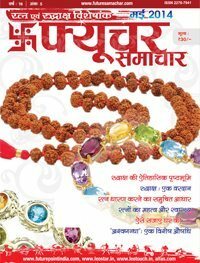 In Northern India year starts from Chaitra Purima. It is also popularly known as "Malava Era" or simply "Samvat". In Gujarat Amanta month is taken and year starts from next day of Kartika New Moon i.e. day of Diwali. Saka Era : This is 78 less than A.D. year. This is also used extensively in North India. 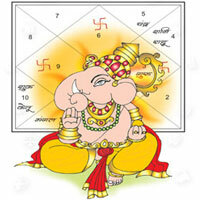 Indian National Calendar uses this Saka. 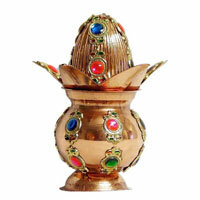 It is used both with amanta & Purnimanta months as well as with solar calendar. Gregorian Calendar : 1st Jan 99. Kollam Era : A.D. year minus 824 is the Kollam Era. It is used in Malabar, Cochin & Travancore. It starts with solar Virgo in North Malabar and with Solar Leo in South Malabar. Bengali San : Current A.D. year minus 593 gives Bangali San. It starts with Sun entry into Aries. Hejira (Muslim Calender) : It is calculated by subtracting 579 from the current A.D. year. The monthly are based on Moon and are named as Muharram, Safer, Ravi-Ul-Avval, Ravi Ussani, Jamadi-Ul-avval, Jamadi Ussani, Rajjab, Sawan, Ramjan, Savval, Jilked and Jilhej. Muharram the first months coincides with or starts from shukla Paksh of Vaisakh. The month start normally from 2nd in Shukla Paksh when Moon is visible in the sky after sun set. The day is counted from sunset to sunset. 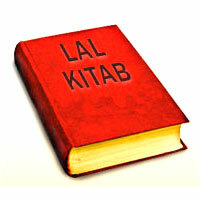 The only problem in Muslim Calendar is that it can not be defined in advance since it is based on visibility of Moon. If Moon is not visible on the day month has to start, it will be started from the next day only when moon becomes clearly visible.